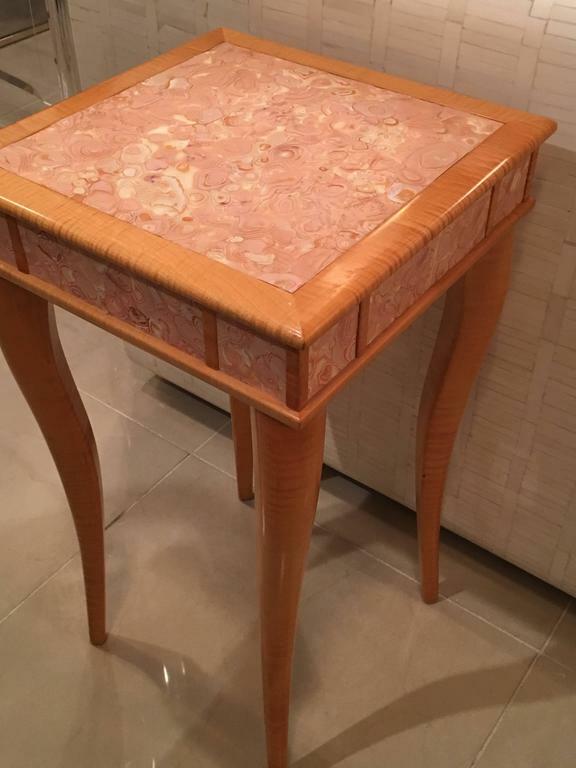 I just love this table! 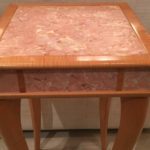 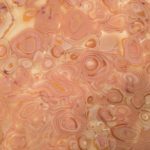 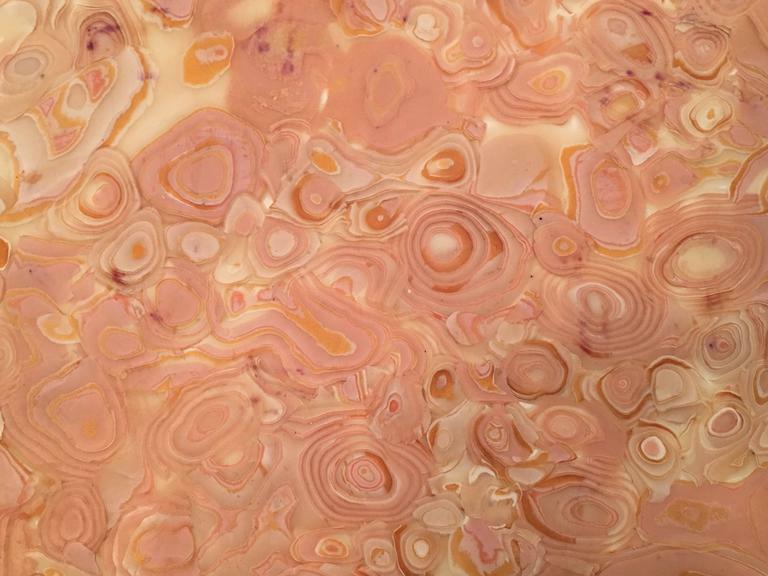 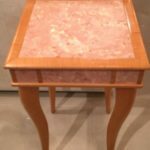 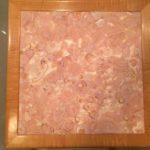 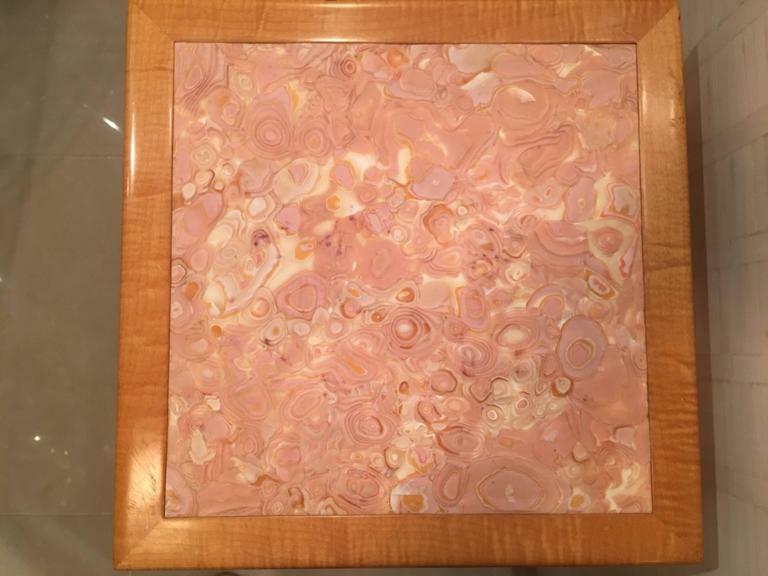 The beautiful pink swirled geode agate marble stone top and sides has my heart! 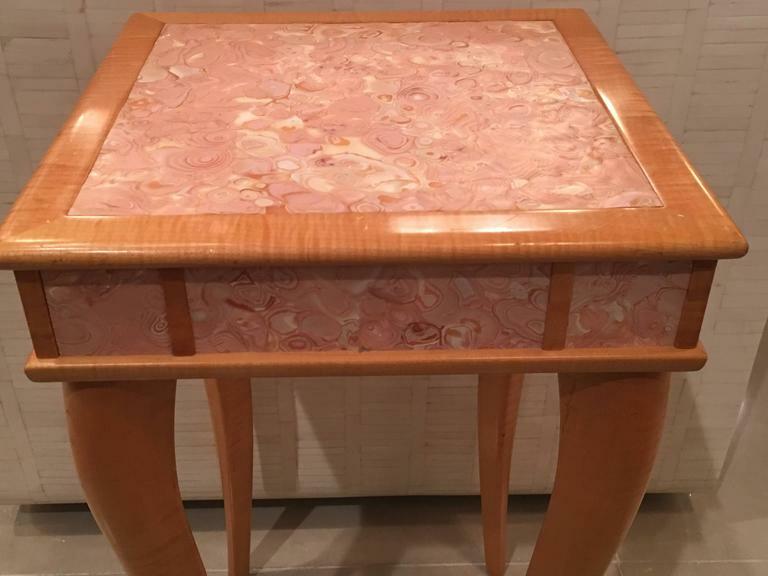 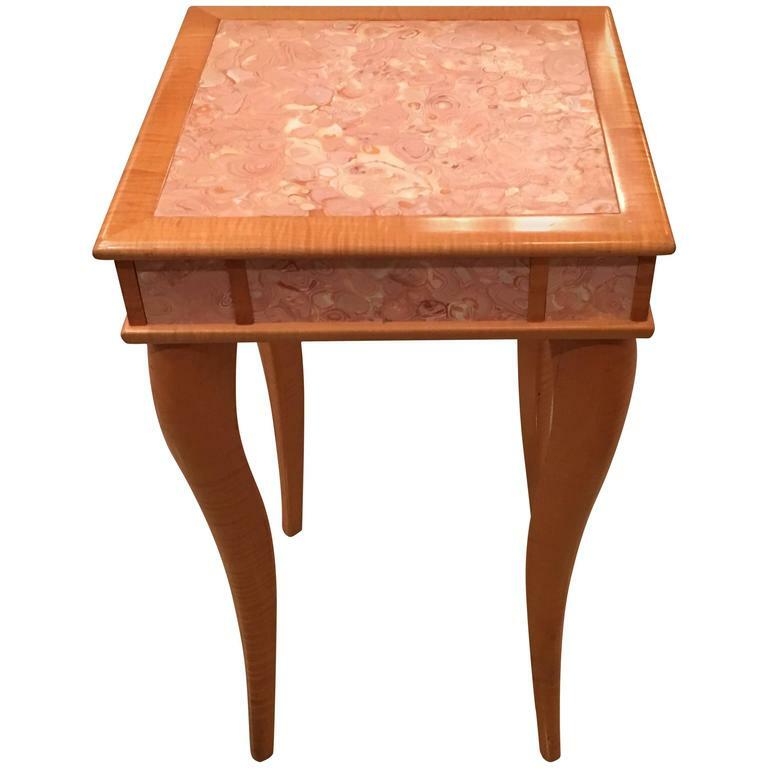 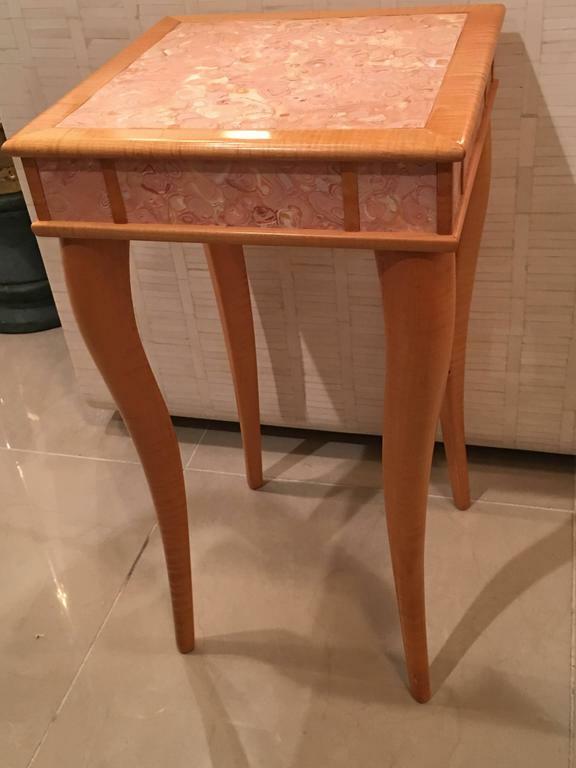 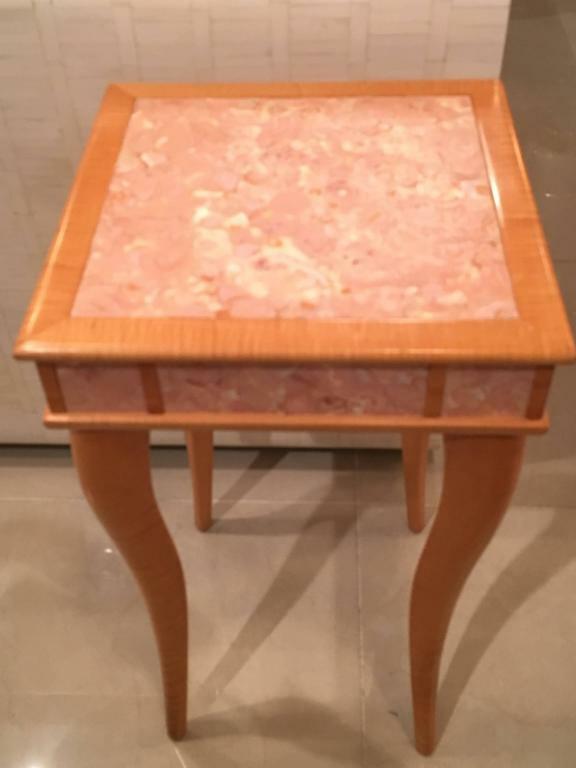 The table I believe is a bird’s-eye maple wood with pretty French flair lags. 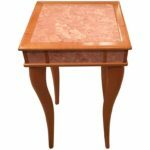 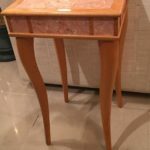 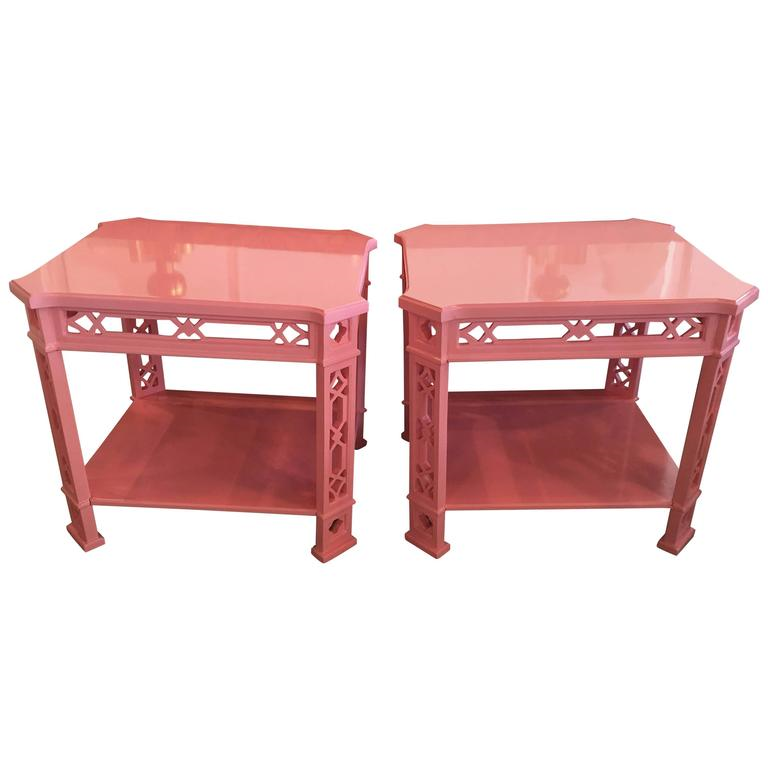 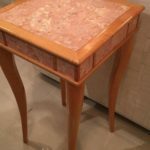 If the wood look is not for you this table can be lacquered in a pretty pale pink, white or any color you desire for an additional cost. 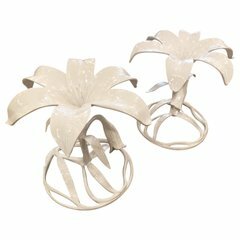 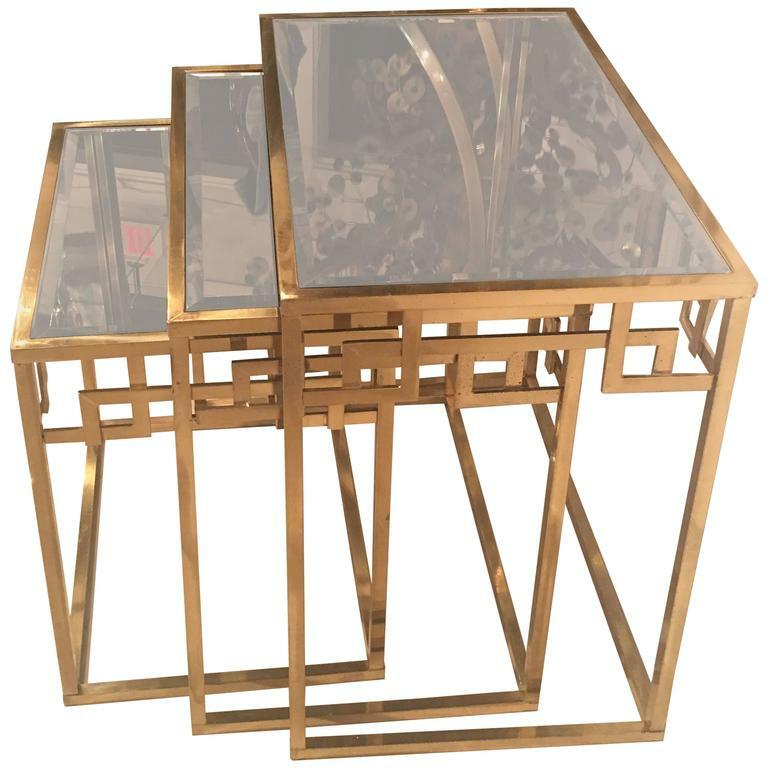 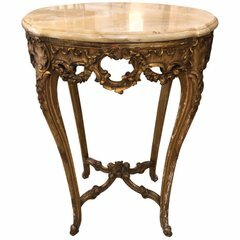 Perfect as a drink table, side or end table, between two chairs, etc.